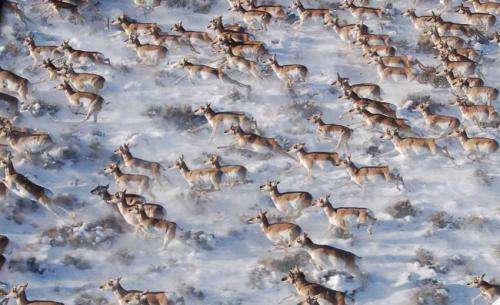 In their paper, the authors examine the process that led to the creation of the United States' first federally designated migration corridor—Wyoming's Path of the Pronghorn (POP). The POP is a 93-mile route travelled by Grand Teton's pronghorn between their summering range in the park (where females give birth) and their wintering range in Upper Green River Valley. 4. targeted communications and outreach, and engaging county commissioners, ranchers, local and national NGOs, politicians and state and federal agencies.